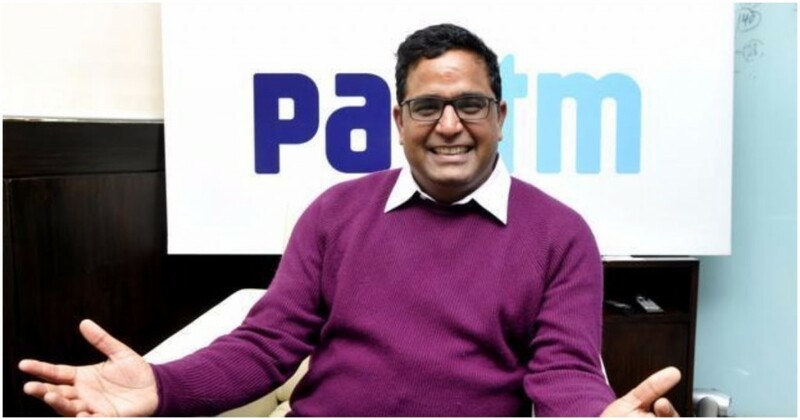 Paytm CEO Vijay Shekhar Sharma might have become one of India’s youngest billionaires thanks to his stake in Paytm, but he’s making sure to share his riches with his employees. Sharma has pledged 5% of his personal stake in Paytm Mall towards the employee stock option pool. This would add Rs. 325 crore worth of stocks to the ESOP pool, which can then be allocated among Paytm Mall’s employees. Sharma’s stake in Paytm Mall would consequently fall from 19% to 14%. “I have given parts of my holding towards the employee share pool,” Sharma told TOI. “I had done something similar long time back for One97 Communications and I have done this now for Paytm Mall,” he added. Sharma has a net worth of $1.5 billion (Rs. 10,000 crore), thanks mainly to his stake in Paytm. At the age of 38, he’d become one of the youngest billionaires in the country last year. Sharma had then splurged on a Rs. 82 crore house in Lutyens Delhi, becoming neighbours with top corporate honchos including Airtel’s Sunil Mittal and DLF’s KP Singh. He had also sold a significant stake in Paytm to fund the Paytm Payments Bank, in which he has a 51% personal stake. But Sharma’s latest move is likely to bring cheer to Paytm’s employees, who will now be able to better share in the successes of the 7-year-old company. India’s startup space has seen few meaningful exits in recent years, meaning that average employees have been unable to cash in the value of the shares they hold. But there’s a growing trend of startups making their employees’ shareholdings more liquid — Flipkart had recently bought back ESOPs from employees, allowing them to cash in on their gains, and earlier this year, Paytm had allowed its employees to encash stocks worth Rs. 100 crore.